What could be better, a self propelled mower or a mower that starts with a push of a button? Both, we think! 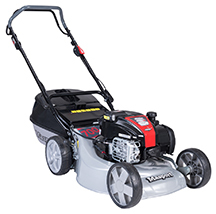 So this mower features the new Briggs & Stratton InStart™ lithium-ion push start engine plus the Masport self drive system, the perfect combination for convenience.